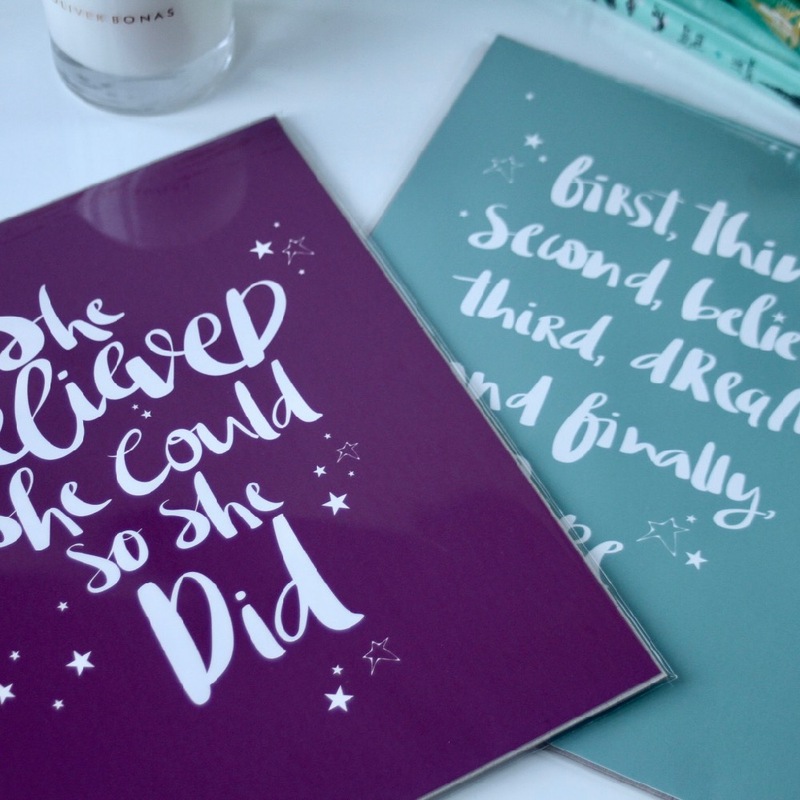 A beautifully hand lettered print celebrating the quote, ‘She Believed She Could So She Did’. 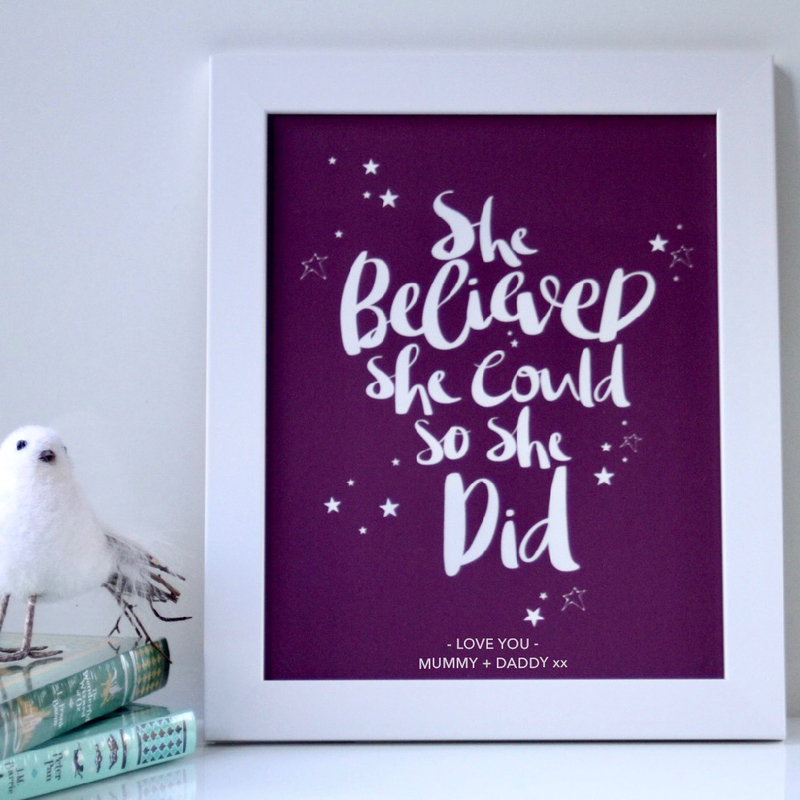 Lovely words for any little girl (or us grown ups girls too!) 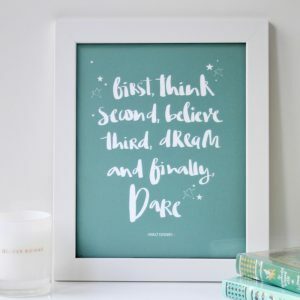 to live by. 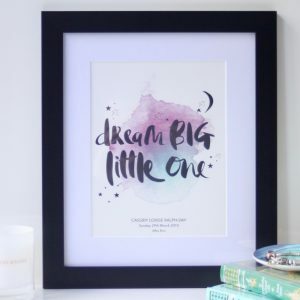 Inspired by my little one this gorgeous hand-lettered print is perfect for either a new baby, as a Christening gift, or just as a special gift for someone you love to brighten up their room or remind them to believe! 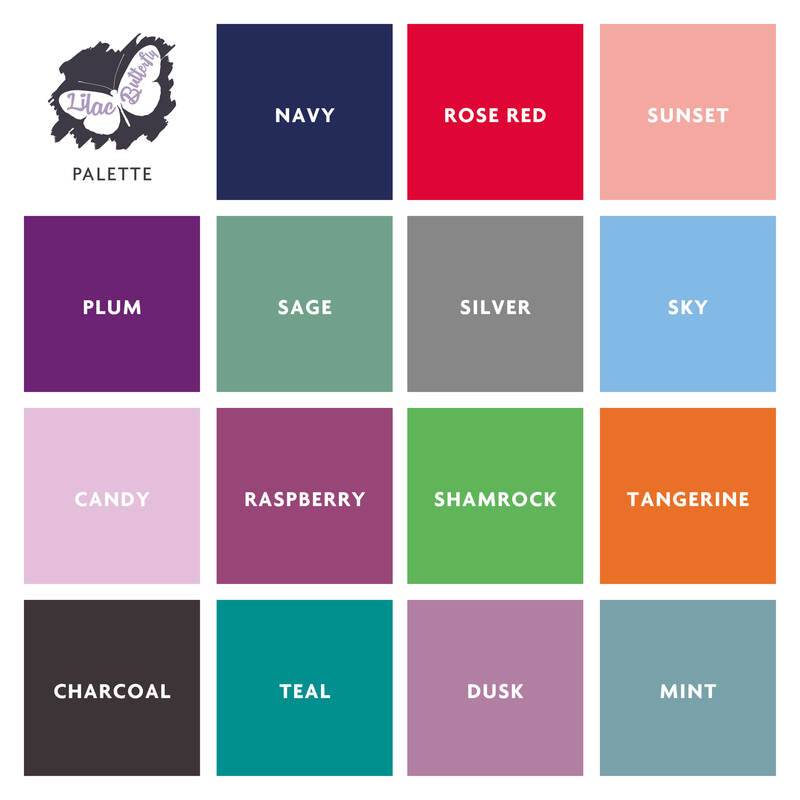 Professionally printed on luxury 300 gsm FSC certified smooth finish 100% cotton artists card. Approximate finished frame dimensions 9″ x 11″ with a glass front. 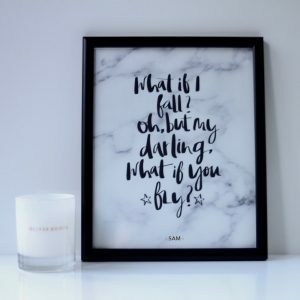 Frames can either be used standing on a bedroom mantle piece or shelf display, or wall hanging to make a statement. 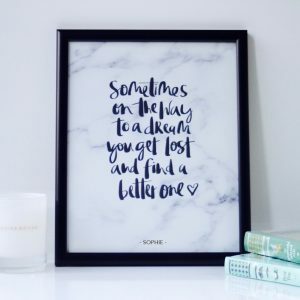 Available framed in either black or white. Also available unframed 8″ x 10″ or A4. 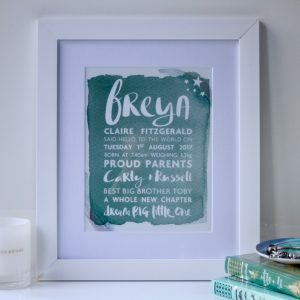 This print can be personalised with a name at the bottom with no additional cost. Please choose how you would like the print framed. If you would like a name added to the bottom, please specify below.